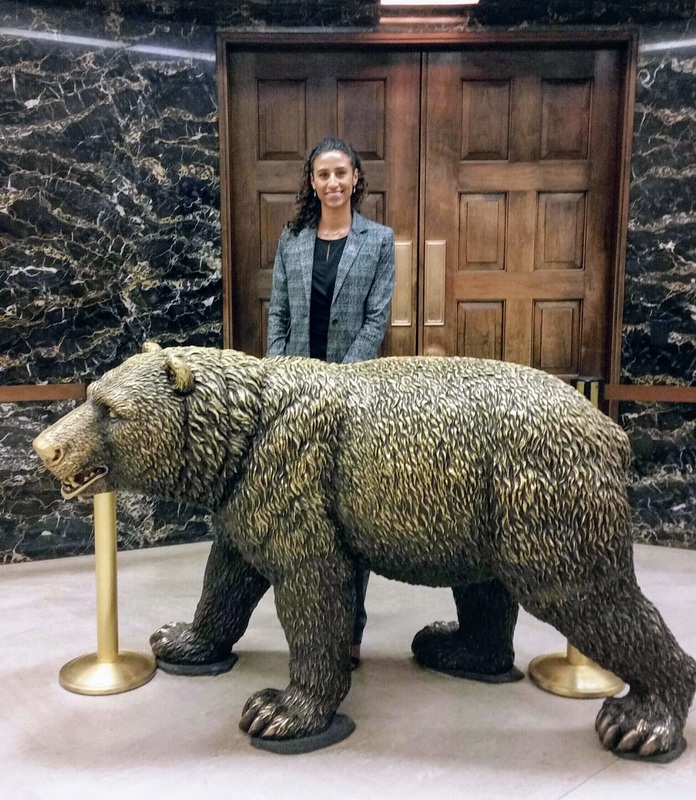 CW3E graduate student, Tashiana Osborne, and Communication graduate student, Jahmese Fort, were selected to represent the University of California San Diego (UCSD) at the California State Capitol for the eighth annual UC Graduate Research Advocacy Day on April 19, 2017. During their day at the state capitol, Osborne and Fort met face-to-face with several state senators, assembly members, and their staff. UC President Janet Napolitano addressed student representatives gathered from all 10 UC campuses during the event. Students engaged with legislators representing both major parties about ways their research projects contribute to making a difference for the lives of Californians and beyond. Osborne highlighted implications of her research with CW3E, which focuses on investigating and enhancing forecasts of the atmospheric freezing level, the elevation where the air temperature is zero degrees Celsius. Frozen precipitation typically melts to become rain about 200-300 meters below this elevation. Freezing level, therefore, is key in determining the type and amount of precipitation, and ultimately, the amount of runoff generated during and after precipitation events. Freezing level is especially critical in California’s mountainous regions, where precipitation has a unique interaction with the complex and varied topography. Her work supports the University’s goal to demonstrate the value and impact of UC research and graduate education for California. This research emphasizes the lead role California can have in western weather prediction and monitoring, water resources management, flood safety, and drought preparedness. Fort and Osborne were also named as the inaugural recipients of the Jane and Jiao Fan, PhD ’94 Prize for Best Advocate for Graduate Studies through the Graduate Division. This prize honors graduate student representatives who are successful in marketing and communicating their own research efforts. 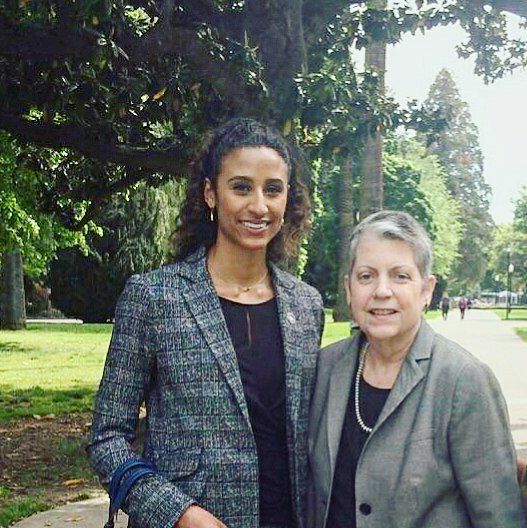 UC President, Janet Napolitano, and graduate student, Tashiana Osborne, at the California State Capitol. Photo credit: Denise Serrano; UCSD Director of Public Affairs.